Trainees will be given ongoing feedback during class, throughout the training programs, and in person, when deemed necessary. Successful completion of the program is dependent on positive reviews for each session and the trainee’s ability to learn, perform, and teach both group movement lessons (TML) and individual movement lessons (FS), observed throughout the training segments and during the supervised practicum sessions. When a trainee is behind in her/his ability to perform, one of our teachers/trainers will discuss the issue(s) and suggest possible ways to remedy the situation. This may include private study with an instructor, which may incur additional cost for the trainee. Trainees will be given a period of time in which they will be expected to remedy the situation in order to continue with the training and be eligible for graduation. Signing a licensing agreement with Anat Baniel Method. The licensing agreement provides the graduates with benefits such as being listed on the Find a Practitioner Search page on the Anat Baniel Method website and having the right to use Anat Baniel Method written materials (with written permission from Anat Baniel Method). *Upon successful completion of the program, a Certificate of Graduation is provided and a licensing agreement is required for the ABMI Practitioner Training. A Certificate of Graduation is provided and a licensing agreement is required for each of the continuing education workshops, upon successful completion of all the levels in each area. 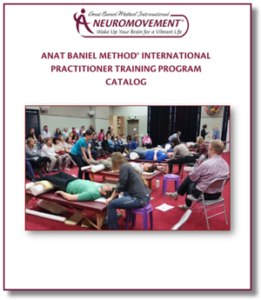 Permission to practice as an Anat Baniel Method® NeuroMovement® Practitioner is granted after successful completion of the ABMI Practitioner Training Program. Permission to practice as an Anat Baniel Method® NeuroMovement® Children with Special Needs Practitioner is granted after successful completion of ABM Continuing Education Mastery Workshops – NeuroMovement®: Working with Children with Special Needs. 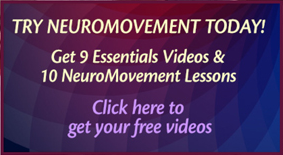 Permission to practice as an Anat Baniel Method® NeuroMovement® Vitality and Anti-Aging Practitioner is granted after successful completion of ABM Continuing Education Mastery Workshops – NeuroMovement®: Vitality and Anti-Aging. Permission to practice as an Anat Baniel Method®NeuroMovement® High Performers Practitioner is granted after successful completion of ABM Continuing Education Mastery Workshops – NeuroMovement®: Working with High Performers.